SENIOR Aldwick councillor Gillian Brown has received her OBE at Buckingham Palace. Mrs Brown, the leader of Arun District Council, was awarded the honour for her services to local government and the community in West Sussex. 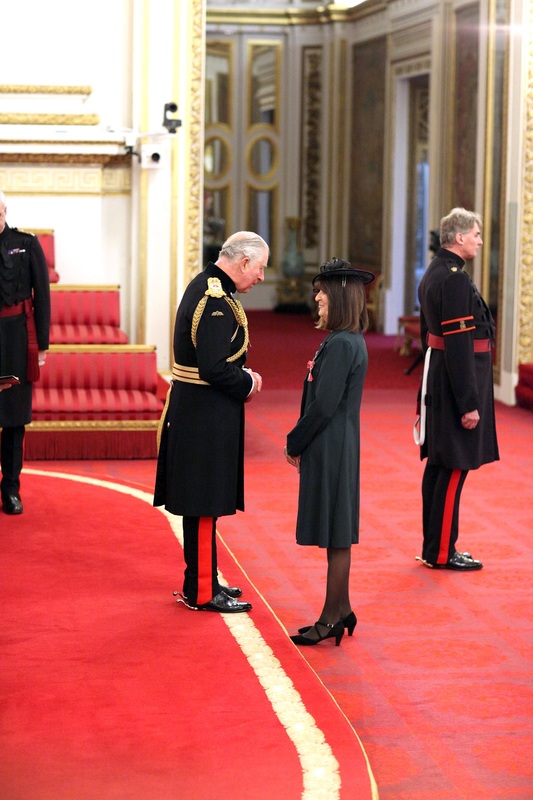 She was presented with the OBE by Prince Charles last week in a ceremony attended by other guests and dignitaries. Cllr Mrs Brown said: “I was both thrilled and honoured to have been awarded an OBE for my service as a councillor for the past 27 years. Cllr Mrs Brown, who is a Conservative member for Aldwick East, has led Arun for 12 of her 27 years as a district councillor. Her experience and influence extends to local government matters beyond the Bognor Regis and Littlehampton areas. She has been a board member of the District Council Network since its inception in 2006 and she speaks on planning matters on behalf of the country’s 210 district councils. She has also been a long-serving member of the Local Government Association (LGA) and has served on many of its committees and boards. Cllr Mrs Brown is a current member of the councillors’ forum and the LGA’s people and places board. Her roles also include being an active member of the South East England Council. More locally, Cllrs Mrs Brown jointly founded the Aldwick Preservation Society in 1978 and became its first treasurer. She continues to support the charity and champions the maintenance and improvement of the environment in Aldwick. The society looks after the Aldwick Duck Pond on Aldwick Road. Its formation by residents arose after a planned road improvement scheme threatened the future of the duck pond.